There are many reasons for wanting to acquire a business. You may be a business owner already, looking to make a strategic acquisition of a competitor, or looking to diversify into new products, services or geographies. You may be part of the management team where the owners are looking to exit giving you the opportunity to do an MBO. You may have in place a strong buy and build strategy to deliver growth and synergies. One of the main challenges for business owners looking at making an acquisition is to manage the risk factors and quickly spotting the real deal breakers. Within a business issues like these are rarely obvious and require a certain expertise to identify and avoid wasting months working on a transaction that may not be what it was initially presented as. 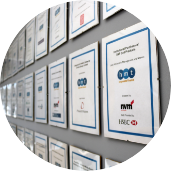 At HMT, we have completed over 500 deals and therefore have the experience to identify key issues within businesses, from an early stage. We have advised our long-term client Redeem on several acquisitions both in the UK and internationally and our partner’s expertise has enabled us to spot potential issues and solve them to lead the deal to a successful completion. Buying a business can be a stressful time for shareholders and management. Our senior team ensures a smooth and effective process to take pressure of the business during the acquisition. Each deal we advise on is partner-led and our partners have been the leading deal makers in the South of England for 20 years. Our buy side advisory integrated offering supports business owners at every stage of the acquisition process providing due diligence, debt advisory, tax advice and financial modelling. HMT is a one-stop shop for all buy-side advisory need. When acquiring PDF Ltd, our client The EPI Group chose HMT to lead advise them on the deal but also to build a strong financial model, to define the deal tax structure and to provide due diligence services to ensure a smooth and efficient process with a single point of contact. Highly experienced and professional team led by leading deal makers in the region. We have completed over 500 deals including 30 transactions in the past 12 months with an aggregate value in excess of £300 million. 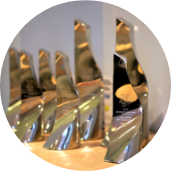 We have been advising entrepreneurial businesses in the Thames Valley for over 25 years and have received many awards for the quality of our service.